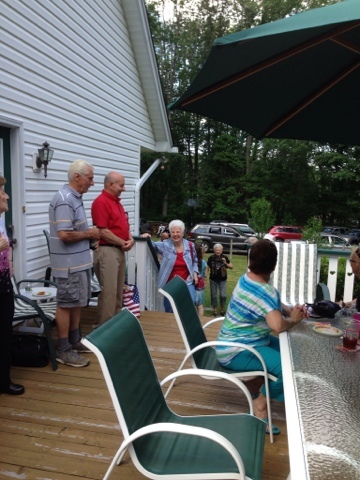 Yesterday we celebrated Mom Lummer's 80th birthday with family and friends. The weather was glorious. She was surprised. Everyone had a great time. I am abundantly grateful for the family and friends who joined the celebration. I am abundantly grateful for the amount of help we were blessed with. I am abundantly grateful that our home and yard were filled with love and laughter.